An eye conditioner and concealer containing moringa butter and avocado oil, both high in vitamins A, C, D and E. Contains green tea extract, a potent antioxidant. Conceals and diminishes dark under-eye circles. Softens the appearance of fine lines around eyes. The two colors can be blended in order to achieve the exact shade required. No. 2 neutralizes blue, violet & grey. No. 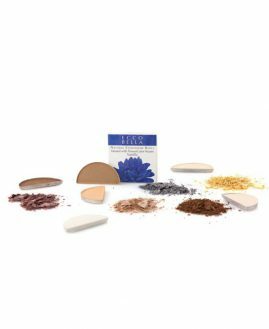 3 neutralizes brown and black in darker skin tones.